MuscleTech NitroTech Performance Series is a protein-rich supplement enriched with creatine and amino acids. It consists of proteins derived from whey protein isolate, which contains the highest portion of pure proteins. The rich ingredients can help in the development of your muscles. 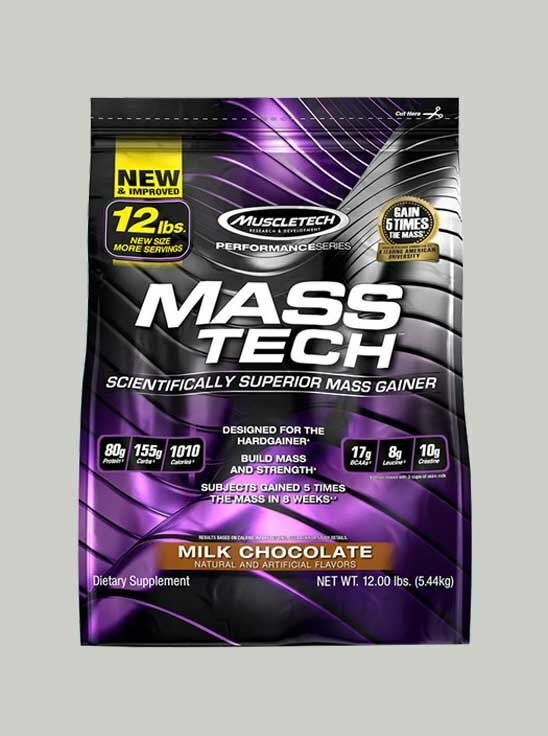 It comes packed with creatine, an amino acid that aids in gaining enhanced strength and muscle volume fast. Due to the presence of creatine in this supplement, you can gain more strength than regular whey proteins. It even helps to increase your overall workout intensity, thereby helping you gain muscles. MuscleTech NitroTech Performance also helps in the development of your lean muscles, instead of adding on to fat content. The best part is that this supplement prevents muscle breakdown and stimulates the synthesis of proteins in your muscles. Also, it energises your body post workout sessions and enables speedy recovery from muscle soreness and fatigue. Further, this supplement helps in the volumization of your muscle cells and tissues. This supplement aids in better muscle contraction and thus leads you to have enhanced athletic performance.